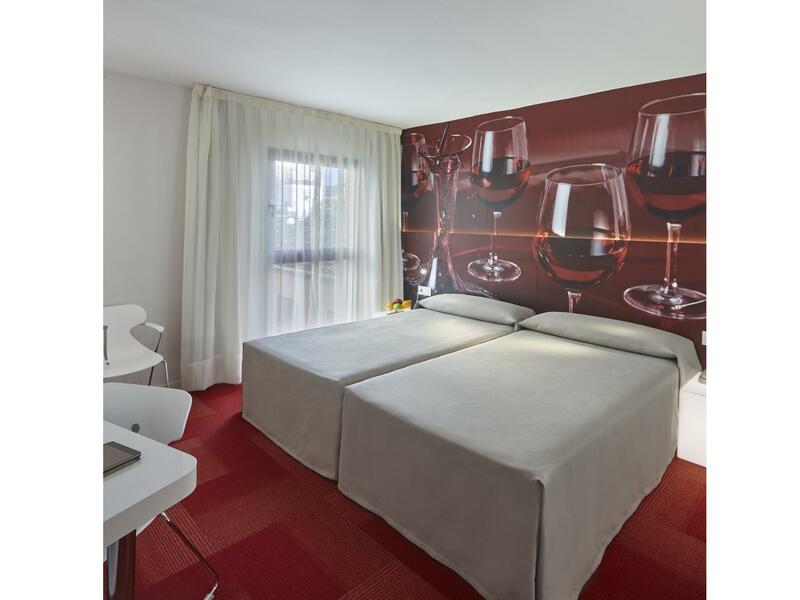 "The hotel was excellent , it is a combination of facility an..."
Have a question for Granada Five Senses Rooms & Suites? "Staff were all friendly and very helpful." "Location was great, just down the street from the Cathedral, and other attractions can also be reached on foot." "Great stay, would return and recommend!" "The room was big and comfortable." 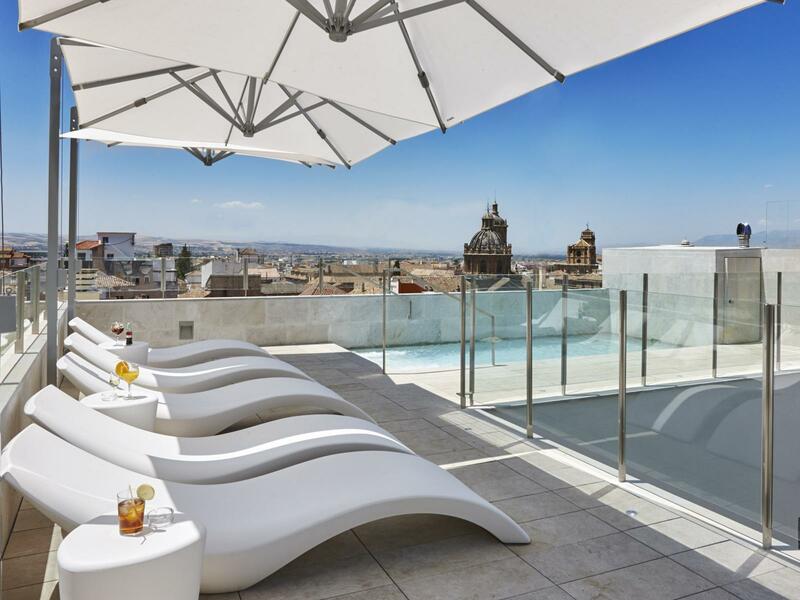 A comfortable and charming 3-star hotel in the heart of Granada, Granada Five Senses Rooms & Suites is just a few minutes walk from the famous Alhambra. The 85 rooms are all contemporary in design, matched by modern amenities and friendly, efficient service. The in-house bar and restaurant are both great places to relax and unwind at the end of a busy day with a wonderful choice of authentic regional dishes, locally produced wines, and of course, a fine selection of local and international beers. Business facilities include conference and meeting rooms and a small business center with fax and secretarial services. For those visiting Granada on leisure, the hotel's central location makes it easy to explore the city's wealth of attractions, and no visitor should leave without spending a day at the Alhambra, arguably the most magnificent monument to Spain's Moorish history. "Great location, clean, good room size"
roof top pool🤩 somewhat chaotic noisy breakfast room. Everything about this hotel, including rates, was excellent. It was a short walk to the Cathedral and reasonable taxi ride to the Alhambra. Our room faced the side street. The room was big and comfortable. Staff were all friendly and very helpful. We even tried out the spa which was a good experience. Location was great, just down the street from the Cathedral, and other attractions can also be reached on foot. Great stay, would return and recommend! great location, just at Gran via street. easy to find, easy to get to from the aerobus bus stop. staff were kind and humerous. hotel room was clean and bathroom was big enough. not enough extensions to charge my cell phone, camera, etc. besides that, everything was great. The hotel is impossible to get to by car, because the city doesnt allow non-authorized vehicles to drive down the only street to access the hotel. The hotel staff failed to inform us, and we had to pay a ticket! Furthermore, the parking lot next to the hotel was full, as was all nearby parking, so we had to park far away. The room is small, old, and lacking most amenities. We got two twin beds on the first floor. The good thing about the hotel is it is walking distance to the tourist spots. Far from Al Hambra & Bus Station. The hotel management need to reconsider to refurbish the hotel room to attract clients in the future. A little difficult to get to because of traffic restrictions in front of the hotel (one way for buses and taxis only), but great location in the heart of the city. Front desk staff member Yolanda was exceptional and helped us with something every day! On our 12-day trip throughout Spain, she stood out as the most helpful and gracious! At check-in, she warned that our room, although larger than most, was street front and may be noisy, but offered another room if we were light sleepers. Because I sleep with the television on all night, the noise didn't bother me and we enjoyed watching the hustle and bustle of city life out the nice bay window. Light sleepers should definitely ask for another room. We were also able to purchase advance tickets for Alhambra through the hotel even though they were sold out online. The rooms were cheap enough that we didn't mind paying for a separate room for our teenage son, offering him some privacy. The bartender even crushed ice with a spoon to try to make a perfect "frozen" drink for me that wasn't on the menu! Close to bus stops and many restaurants and bakeries. We did not try the restaurant on-site, but breakfast was available. i loved the location and bars behind the building. two or three bars are there right behind the hotel, their food and services are great. good location to go to alhambra or anywhere you want to go. but in my impression, room seemed a bit old. I enjoyed the hotel. It is one of the few hotels in the center of the city with car park ($18 euros per day). Very close to the cathedral or the tapas bars. our stay was only three days and two nights but this hotel was very nice for us. the location couldn't be better, the staff helped us when my cell phone was stolen at the train station, and the rooms were nice. the breakfast was not included and the price for breakfast was a little too high but convenient. the alhambra tour we booked at the hotel was a rip off, get tickets before you come on-line and go by city bus. other than that, we were very happy with our stay here. have just returned from 2 nights at this hotel. in such a small old town, they have parking space are very good. you have to turn right, stay outdoor the hotel, waiting for parking service. small reception area. free wifi bus stop is about 2 min walk from the hotel. good location to eat and alhambra. the room is clean and lovely. but like many hotels nowadays the walls are thin so you can hear something, but it is ok.
Hotel céntrico, accesible, servicio y atención excelente por parte del personal. Instalaciones adecuadas. 직원이 친절하였습니다. 알함브라 티켓과 비행기 티켓을 프린트하는 것도 해주었구요. 일단 직원분들 정말 친절하셨고 이 가격에 이정도 시설의 호텔이면 굉장히 만족합니다. 객실 내도 청결했습니다. 가격대비 방도 넓고 직원들도 친절해서 좋았습니다. 위치는 이사벨 동상까지는 살짝 걸어야하긴하지만 그렇다고 그렇게 먼것도 아니고 위치도 나쁘지 않았어요. 아 그런데 침대에 카페트?같은 재질의 이불이 있어서.. 이런 재질 바닥이나 이불을 좋아하지 않아서 조금 찝찝하긴 했네요. 그래도 깨끗하고 깔끔했습니다. 냉장고가 있었으면 더좋았겠네요.